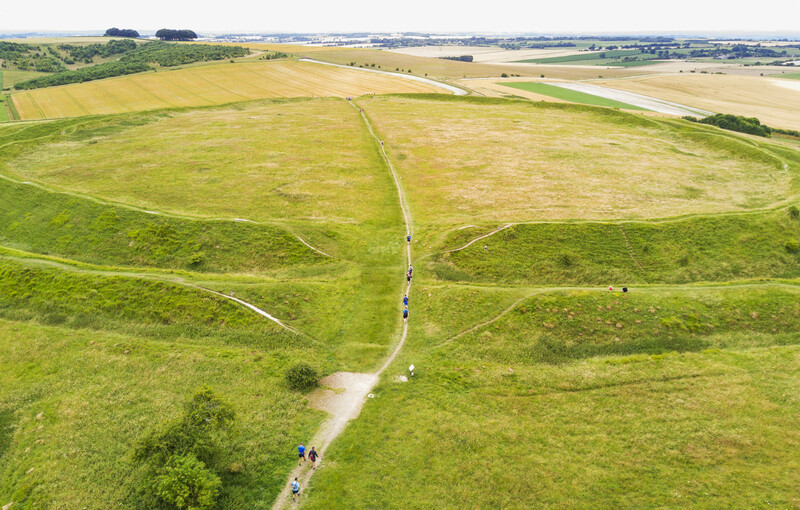 Spanning 87 miles across southern-central England, the Ridgeway is an ancient path which has been used for over 5000 years by traders, soldiers, drovers, and even Viking invaders (yes!) alike, as it provided an accessible and easily travelled route across the country. The trail offers dramatic views of the surrounding countryside. As well as being totally gorgeous, this also meant that in times gone by the route was a safe option for travellers who could see potential threats from afar. Designated as a national trail since 1973, the path is mainly chalky and occupies high ground for most of its length. When I hiked it, on a 30-degree-plus day in July, the ground was packed hard and the sun was absolutely relentless. 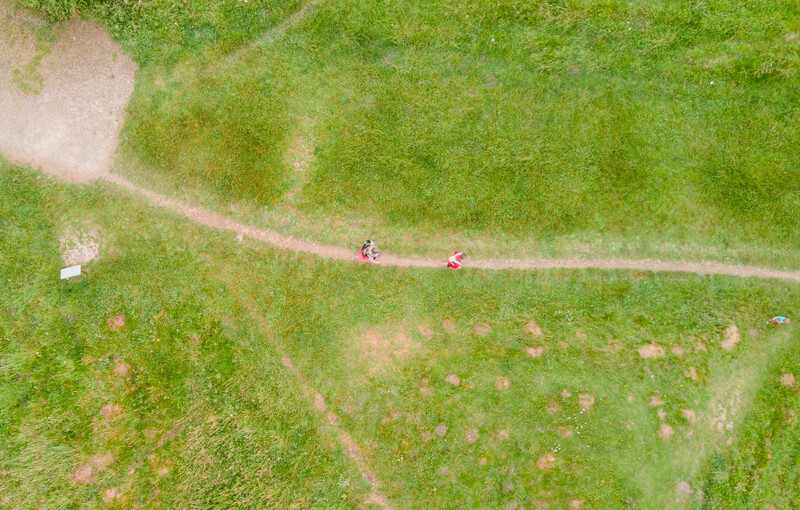 On this occasion, I was carrying my portable DJI Mavic Pro drone to capture the route on film from above. 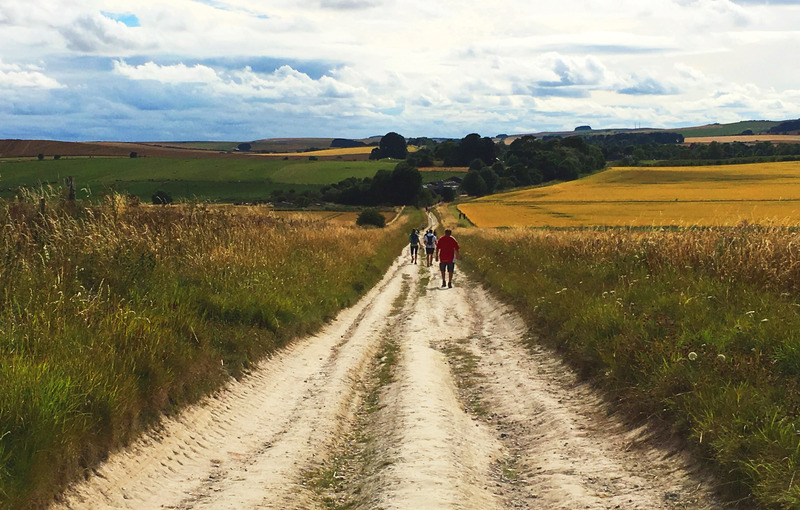 The Ridgeway has always been a trail I’d been interested in, and I’d had my sights on trekking it for some time as I grew up right beside it and had memories of it from my childhood. 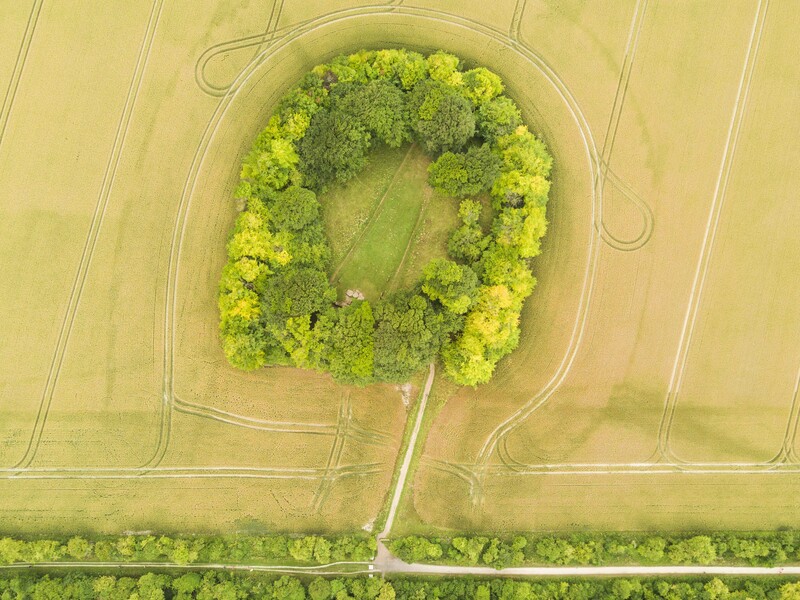 For this walk, I picked up the trail just south of my hometown of Wantage, Oxfordshire, and headed west towards my end point at Avebury stone circle – 50kms away in Wiltshire. 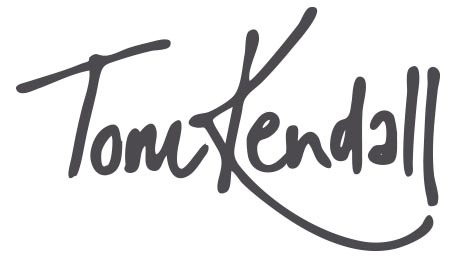 The majority of my route would be through the North Wessex Downs Area of Outstanding Natural Beauty – quite a title but indeed ‘outstanding’ in every sense. 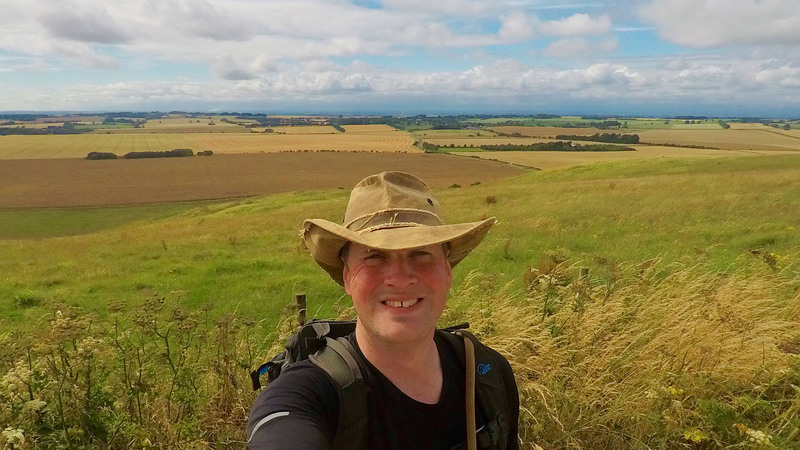 I was starting nearly halfway along the trail – and if I were to have walked east instead, I would have finished the trail at Ivinghoe Beacon in Buckinghamshire. 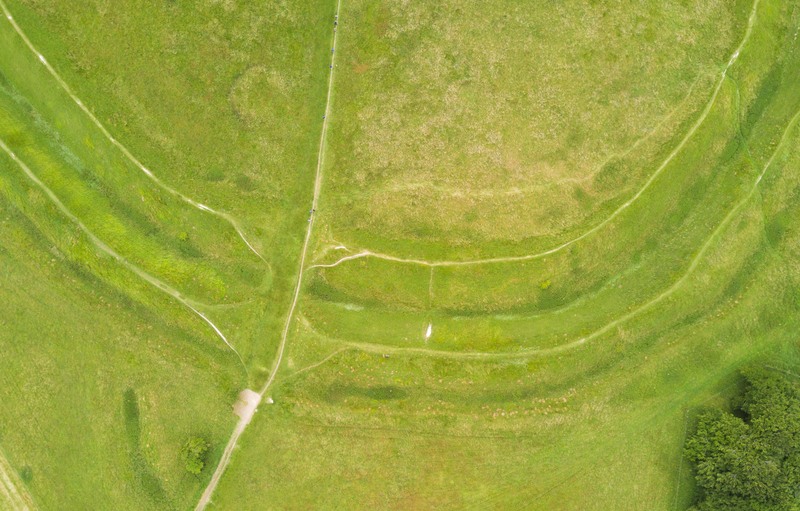 Along the way I managed to see the Uffington White Horse; Wayland’s Smithy, a Neolithic long narrow; and the Iron Age hill fort of Barbury Castle. 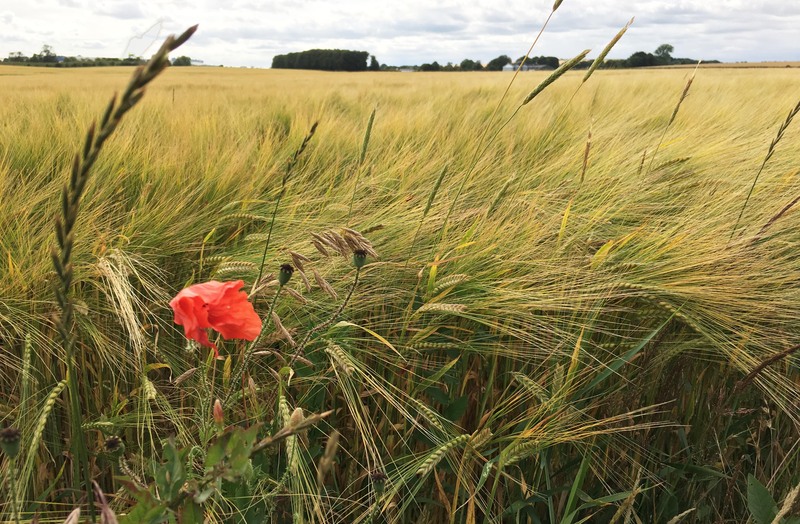 It’s a beautiful route peppered with wild flowers, views across vast fields and valleys, and the occasional copse or piece of woodland. The trail is well worth the effort, whether you push yourself to achieve the whole stretch or choose a section to saunter along for a few miles on a Sunday afternoon. 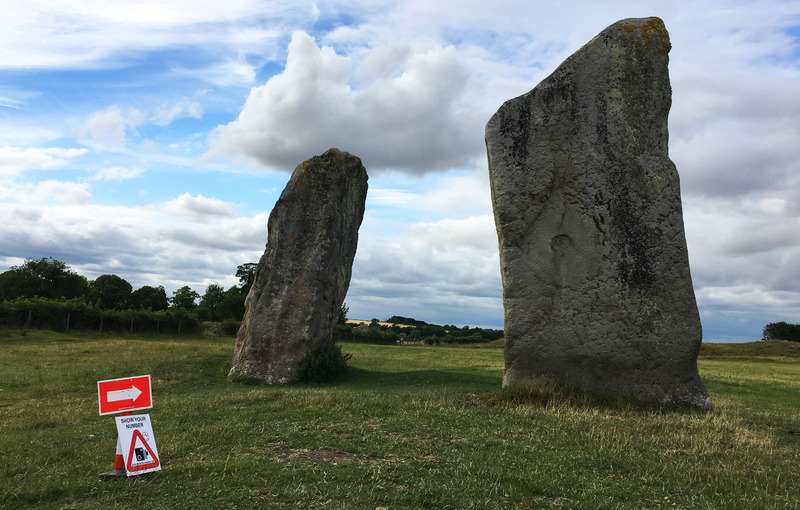 I was totally exhausted by the time I hobbled through the centre of Avebury stone circle; the heat, coupled with stopping for photos and breaks giving me a final time of over 10 hours to walk the 50km route. 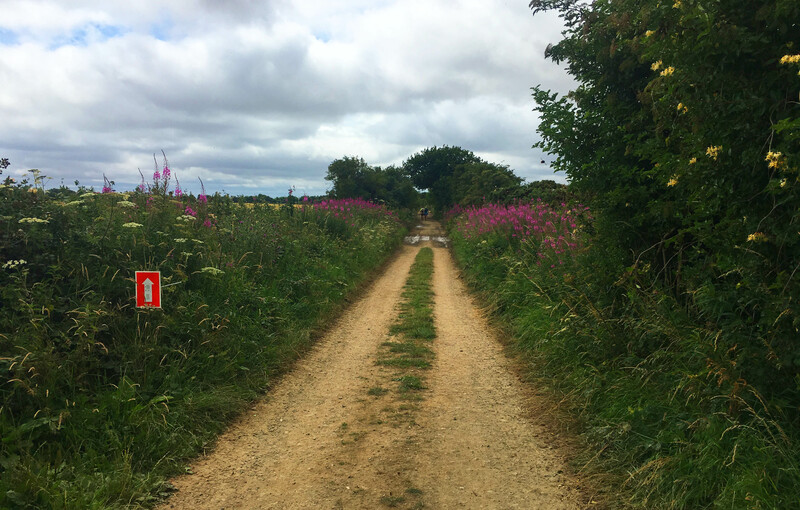 But I now know what to expect should I walk the entire trail, although I would recommend a more leisurely pace – perhaps doing the whole Ridgeway trail over five days or a week, to truly enjoy the beauty of Britain’s oldest path. 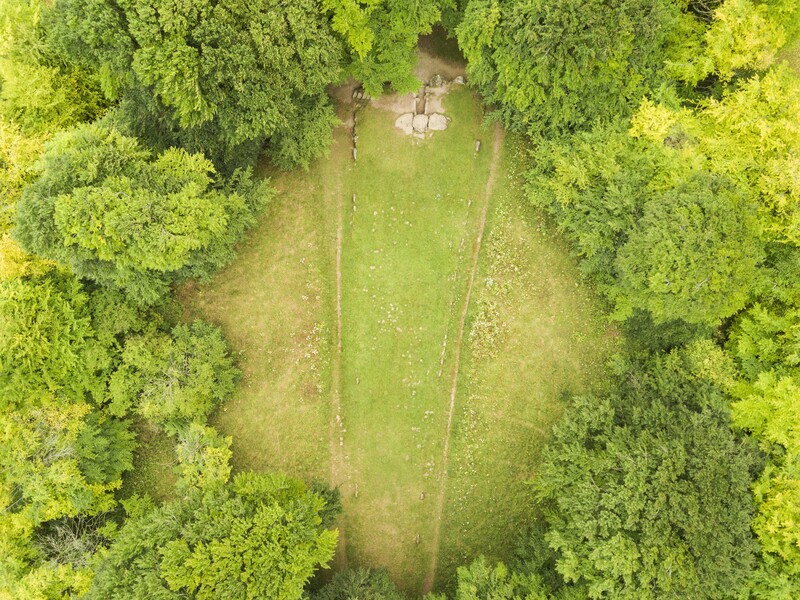 Hopefully people will still be enjoying the trail in another 5000 years’ time.